“College readiness is the level of preparation a student needs to succeed in credit-bearing courses in college. ‘Succeed’ is defined as completing entry-level courses at a level of understanding and proficiency that prepares the student for subsequent courses. Kentucky’s system-wide standards of readiness guarantee students access to credit-bearing coursework without the need for remediation in high school or college coursework or intervention programming. Dual Enrollment and Articulation Kentucky allows students to earn dual credit for academic and/or CTE dual-enrollment courses at their high school, postsecondary institution, online, or via another method. Public postsecondary institutions are required to accept these credits (Education Commission of the States, 2015). Early College High School The Middle College National Consortium and Woodrow Wilson National Fellowship Foundation have each established one Early College High School as part of the Early College High School Initiative (ECHSI). The Middle College National Consortium partnered with an institution of higher education. More information about schools participating in ECHSI is available at the ECHSI website (Jobs for the Future, n.d.). In 2002, Kentucky mandated that all students in Grades 6–12 have an Individual Learning Plan (ILP) (U.S. Department of Labor, 2013). The ILP incorporates assessments results, education plans, outcomes, student needs, academic and career interests, supports for successful transition, and readiness for postsecondary learning opportunities and work. Students, parents, teachers, and administrators can access the plans from any computer with Internet access. Ongoing monitoring and annual review processes are required until the student graduates (Kentucky Department of Education, 2008). Kentucky’s state-specific Early Warning System is called Persistence to Graduation. Early Warning System data are reported at the student level, but can be grouped by school or district as well. 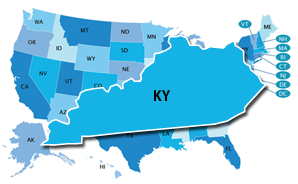 In terms of who can access Early Warning System data, the Kentucky Department of Education encourages liberal availability and includes district dropout prevention personnel, building principals, counselors, special education administrators, teachers, and family resource and youth service center staff.